My absolute favorite “Chiropractic Find” to date has been the Adams Suit Case Table. 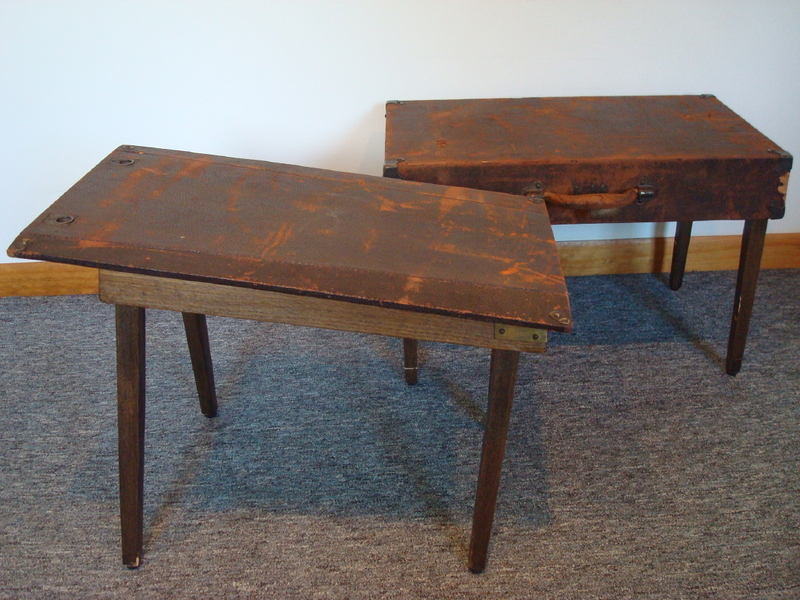 Perhaps the first company-manufactured chiropractic adjusting table made, this table’s origins date back between 1908 to 1916. It was advertised in Palmer’s The Chiropractor publication starting in 1908. 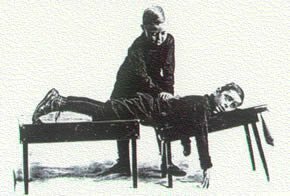 I found a nifty photo of BJ holding an Adams Suit Case Table in his early days of chiropractic. What I like about this collectible is how well made and nice looking it is. It starts out as a nice leather covered suitcase. Handsome and easily portable. 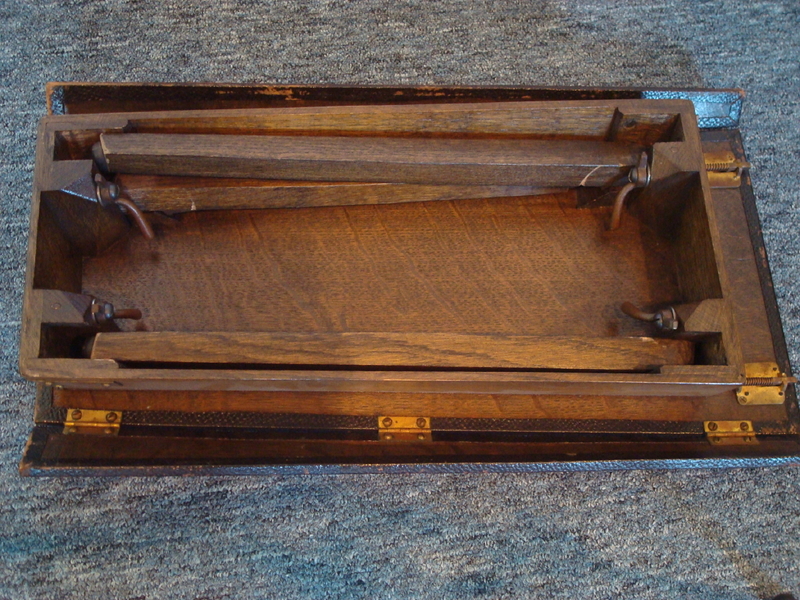 The case is opened by a pull of two side rings that separate top and bottom. Both become a table by lifting up the collapsing legs and turning the securing latches to lock them in place. One table is slanted upwards and has collapsing sides. This is table is for the upper body. I am not sure if the patient was supposed to kneel on the floor for adjustments on this table, or if patients used both tables to support the whole body. 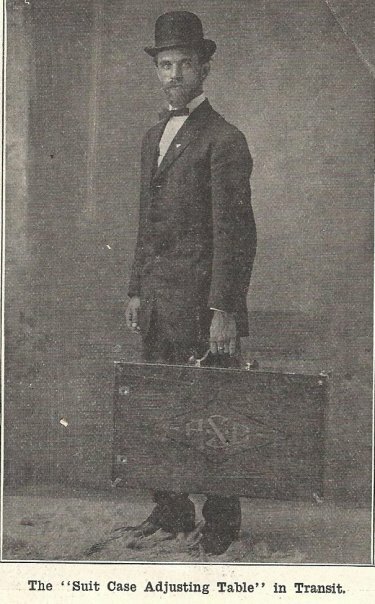 (See photo of young David Palmer adjusting his childhood friend on the Adams Suit Case table at the top of this post). Or, perhaps, the other table was to be used as an office table for setting objects on. These tables are surprisingly sturdy yet elegant. They collapse back into a suitcase simply by folding the legs and laying the top half on the bottom. Dr Simmons P.C. 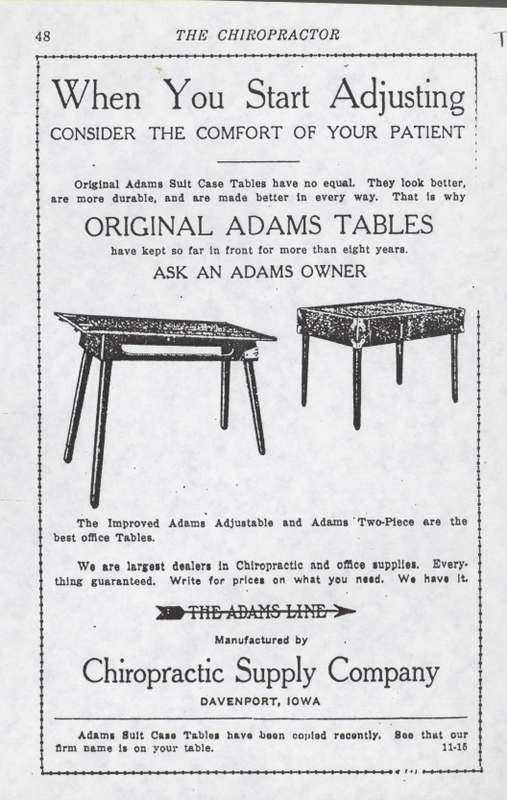 stated that this table is even better made than the suitcase tables made today, however, the Adams wouldn’t be comfortable for a patient [despite what the ads says]. Note: Underneath the table, the manufacture trademark states “Chiropractic Supply Co. Manufactures of The Adams Line Adjustable Suit Case and Office Tables. Davenport Iowa Brady St.” There is a patent number which I would be interested in reading, but currently it is obscured by some gummed paper residue. You may be wondering why an old table is so important? 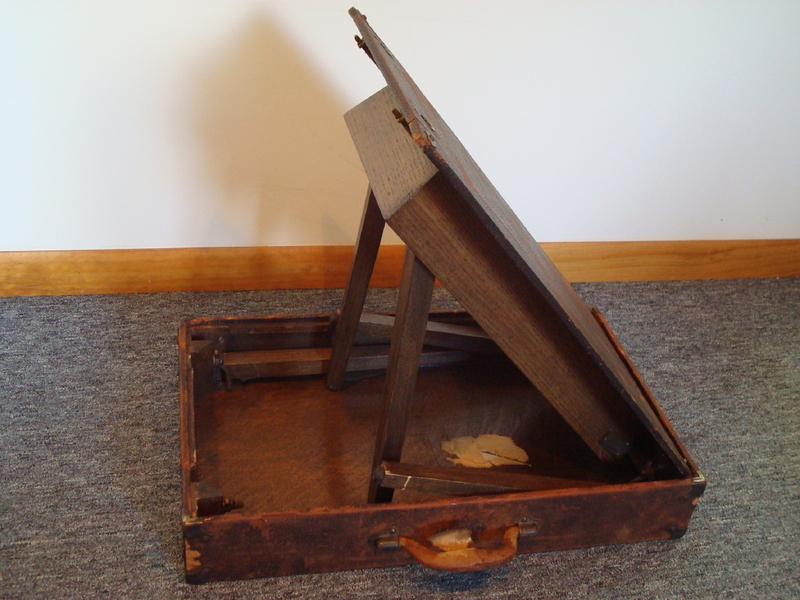 The Adams Suit Case Table was one of many “stepping stones” in the progression to make an exact and precise table to get sick people well. 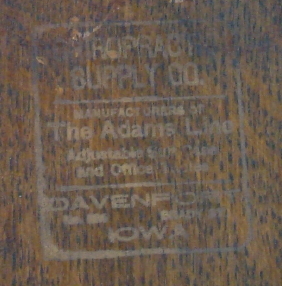 The Adams table was produced by the “Suit Case Factory” in Davenport, IA from 1905-1916. B.J. Palmer, knowing there was an overwhelming need to deliver Chiropractic to the world at large, had patented this table along with others. The table measures 27x16x4-3/8 inches and weighs 18 pounds. Palmer tested this workbench with 1,600 pounds of live weight and “did not find it wanting.” They were “guaranteed to stand the weight of any patient that could be placed upon them, and all the strain that would be given them.” Even so, the suitcase table had to be light enough to be carried around by women for the quick, “on the run house calls” that were very common back in that time frame, and yet strong enough to stand up to the everyday wear and tear of adjustments. We thank BJ and Adams for this beautiful table, which has stood the test of time. Dr. Steve Simmons is a self-proclaimed “BJ Palmer Nut” and tries to collect anything and everything BJ. Dr. Simmons practices in Midland, Michigan and is now the proud owner of this cool Chiro-Picker find. The table is awesome I just went to Simmons Specific Chiropractic to check it out NICE!!! Great find! My great aunt went to the Palmer School of Chriropractic in the early 1900s as well as her husband. We have a suitcase with this simular table in it except there are no markings on it at all but it looks a lot more comfortable that the one listed above. This one is padded and is covered with a royal blue velvet and the legs are metal. It has been a mystery in our household for many years because we had no idea what it was. The suitcase has several stickers on it from various places she traveled by train. 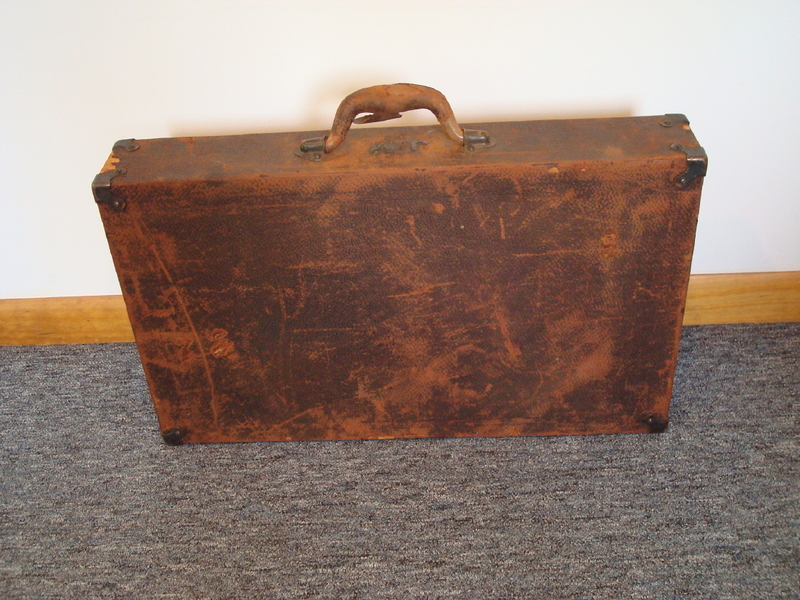 I will add the table is in great shape but the suitcase shows a little more wear. 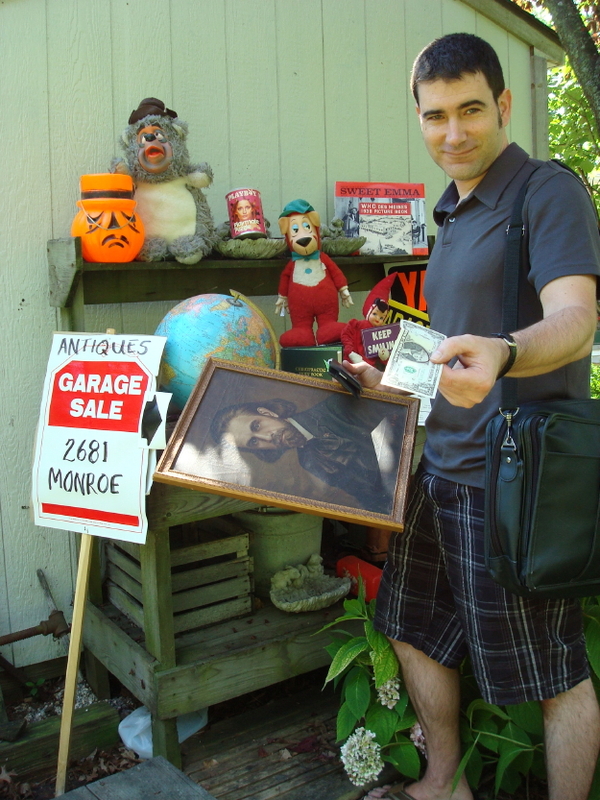 The Antique Roadshow is coming to our city in a couple of months and thought of taking it there just to see what it is worth. If anyone can shed a little more light regarding this suitcase and table I would appreciate it. My dad has one that belonged to his dad. It has a light marking inside that says, “Dr Nicholas, Patent Applied For, Davenport, IA”. My grandfathers name is on a brass plate on the outside.